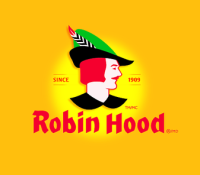 Robin Hood® “Family Favourite Recipe” and Robin Hood® “Family Best Lunchbox Snack” recipes must include th​e use of at least one Robin Hood® product . The first place winner in each local fair is automatically entered in the national contests when their recipe and signed declaration and release form are submitted to Country Fair Baking by the local fair convenor. National prizes will be sent directly to the winner. By submitting an entry, which includes a signed release form, contestants agree to the use of their name and winning recipe for promotional purposes by the sponsor.